A song lamenting the loss of radio’s popularity that produced a music video that went into heavy rotation on MTV. There’s a bit of a contradiction there, no? But Queen owned this irony. 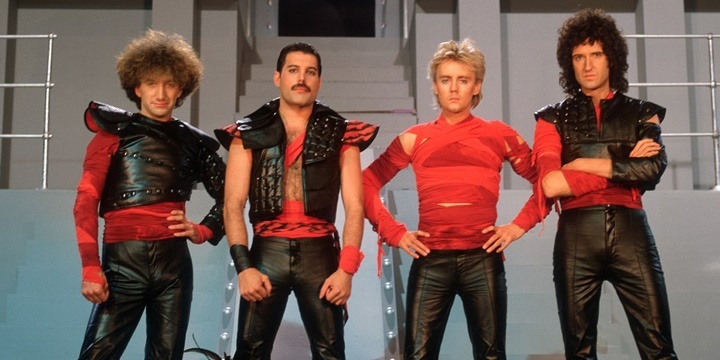 They included clips from their previously popular music videos in the video for Radio Ga Ga and took partial responsibility for killing the radio star. But there isn’t anything ironic about the song’s lyrics or Freddie Mercury’s performance. Straightforward and earnest. The band is wearing their nostalgia like a badge of honor. This entry was posted in Lyrics, Tribute and tagged 1980s, 1984, Freddie Mercury, Music, Music Video, national poetry month, poetry, Pop Music, Queen, zero to hero, zerotohero on April 30, 2014 by Sean. Thanks for this. I missed this song growing up, or never considered it. But it conveys its point better, imho, than that Buggles song. And it’s just as catchy.